We are a community based studio working with established and aspiring clay artists to build and refine their skills. 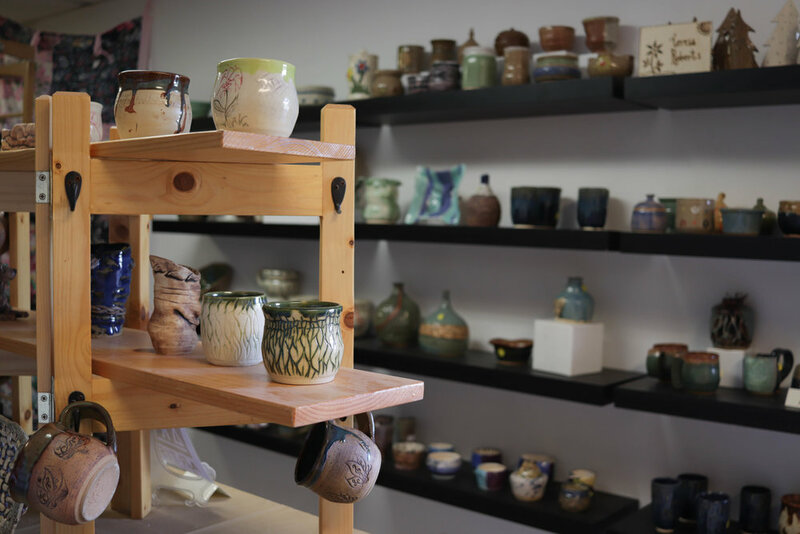 We offer classes in wheel throwing, hand building, glazing and more. Members have 24/7 access to the studio and community equipment, as well as the opportunity to sell work through our gallery. 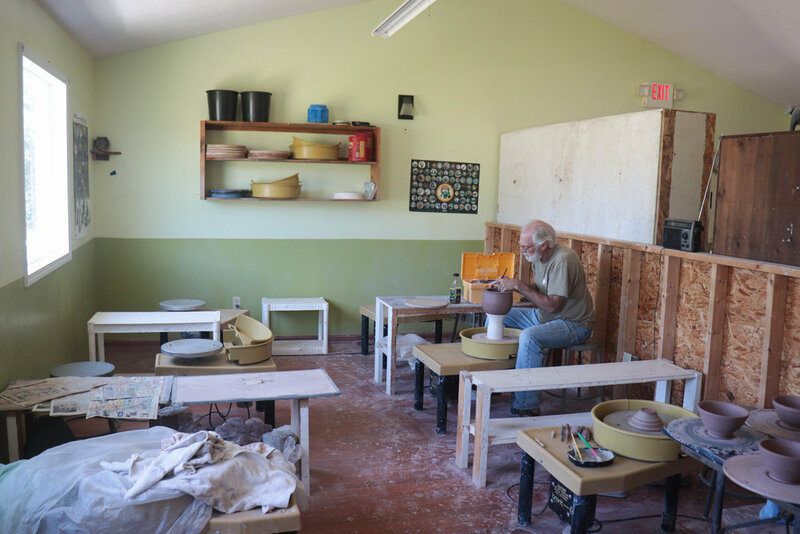 If you are interested in working with clay, we offer studio space, classes, parties and camps, as well as customized instruction and workshops. We have many wheels, three kilns, a large slab roller, an extruder, workspaces and shelves which provide a conducive, relaxed studio environment. Additionally, there are many molds, glazes, underglazes, stains, slips available for use. Adjoining the studio is a gallery showcasing the work of our members.